The Chief Patient Experience Officer has several opportunities to embrace innovation and technology to help with the shift from provider-focused to consumer-focused healthcare. At the forefront of these opportunities is the ability to leverage technology to hear patients clearly, and therefore accurately get at the root causes of issues and the authentic viewpoints of patients across the healthcare continuum. Read more about how patient experience intelligence powered by AI creates return-on-investment opportunities for healthcare organizations. 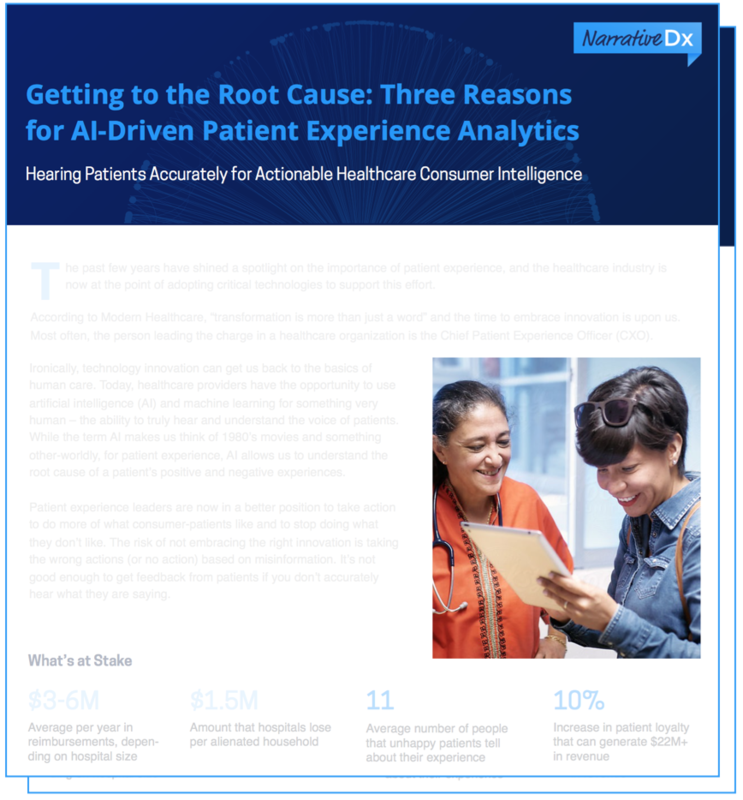 In this white paper, you will discover three important reasons why healthcare organizations benefit from using the right technology to hear patients accurately for actionable healthcare consumer insights. Generate ROI from actionable healthcare consumer intelligence.